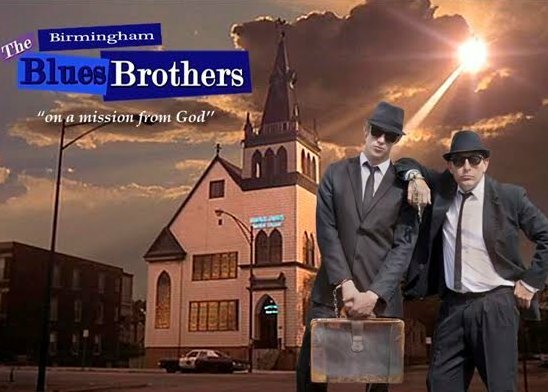 "On a mission from God"
The Birmingham Blues Brothers will be so glad to know that you're checking them out on our website. "Jake" and "Elwood", in their quest to entertain you all, have performed their show all over the world, Sardinia, Corfu, Spain, Norway, Ibiza, Malta, Bahrain and all across the UK. If you need a Disco look no further, they can supply their Full Disco with their Blues Brothers Show if required, with 20,000 tracks at a click of a button, they will have you singing along.